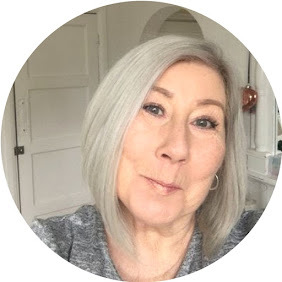 Having just done a post on the amazing Sachajuan Intensive Shampoo and Conditioner I wanted to bring you something from the totally other end of the scale money wise. As always when my youngest Grandaughter comes to stay we end up in Primark, never needing anything but end up buying loads, I think Primark and Ikea are the same company as the same thing happens every time I visit Ikea too ! So at £1.50 a tube I decided to give the P.S Love Your Hair range a little try out. It says it is specifically designed to enhance blonde or highlighted hair, I expected it to be purple as with most blonde enhancing shampoos, it is an almost clear honey colour, the fragrance is lovely and fresh as you would expect in honey and lemon. Both of these tubes are a whopping 250ml and at £1.50 each it is crazy that they can be made at that price, whilst I couldn't see why they were specifically for blondes they did the job, you do need quite a bit of the conditioner as it's not the thickest I have ever tried, BUT, my hair felt clean, bouncy and with no static which was nice, I usually wash my hair every other day, and with a good shampoo you really wouldn't know it needed washing, this left my hair feeling like it needed a wash by day two, it definitely couldn't have gone a third day. But all in all, crazy value for money as always with Primark, and nothing really to fault. so all in all a bit of a winner. Contains Band/PR Samples, unless otherwise stated. I haven't tried the P S shampoo range yet but their fake tan is brilliant. I posted about it last year.Thanks for posting about this, I will give this a try. Ohhh Thanks for the heads up on the tan Laurie, that's another one for the list :) gotta love Primani. i was in a cab here in the states and one of the passengers had used one of these shampoos in his hair. omg...where can american mom buy this for her sons?